Later that day, Mr. Wild’s father told Carriage that the hospital did not conduct a blood test on Mr. Wild because he has been prescribed medical marijuana, marijuana stays in the system for 45 days, and Mr. Wild’s doctor did not believe he was under the influence of drugs or alcohol when he was in the hospital. Nonetheless, Carriage required Mr. Wild to undergo a drug test, which he did that evening. Mr. Wild worked for Carriage one day the following week, but had to go home early to rest because he was very sore. A few days later, an employee of Carriage called Mr. Wild and fired him, indicating that the drug test revealed that he had drugs in his system. Mr. Wild subsequently received a letter from Carriage claiming it fired him because he had violated a company policy that requires employees to disclose if they are using any medication that could adversely impact their ability to safely perform their job. Mr. Wild sued Carriage, claiming its decision to fire him constituted disability discrimination in violation of the LAD. More specifically, he claims Carriage fired him because he has cancer and lawfully used medical marijuana outside of the workplace to treat it. The trial judge granted Carriage’s motion to dismiss Mr. Wild’s case. It noted that the Compassionate Use Act specifically says: “Nothing in this act shall be construed to require . 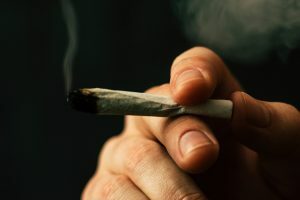 . . an employer to accommodate the medical use of marijuana in any workplace” and does not provide any protection to employees who use medical marijuana. The trial court concluded that Carriage fired Mr. Wild because he violated the company’s policy relating to disclosing medications, and did not violate the LAD. Mr. Wild Appealed. On March 27, 2019, in Wild v. Carriage Funeral Holdings, Inc., the Appellate Division reversed the trial court’s ruling. The appellate court concluded that the language in the Compassionate Use statute merely means employers are not required to accommodate the use of medical marijuana in the workplace, but has no impact on whether the LAD prohibits employers from discriminating against employees who use medical marijuana outside of the workplace. The Appellate Division further recognized that the LAD prohibits employers from discriminating against an employee because he is disabled unless the disability prohibits him from performing his job. The Court indicated that while it is possible that Carriage fired Mr. Wild because he is unable to perform his job, that possibility did not provide a proper basis to grant the employer’s motion to dismiss. Rather, Mr. Wild alleged that Carriage was aware of both his disability and his medical marijuana use, and fired him as a result. The appellate court concluded that those allegations, if true, would be sufficient to support a disability discrimination claim. Accordingly, it reversed the trial court’s decision dismissing Mr. Wild’s case, and sent the case back to the trial court for further proceedings.